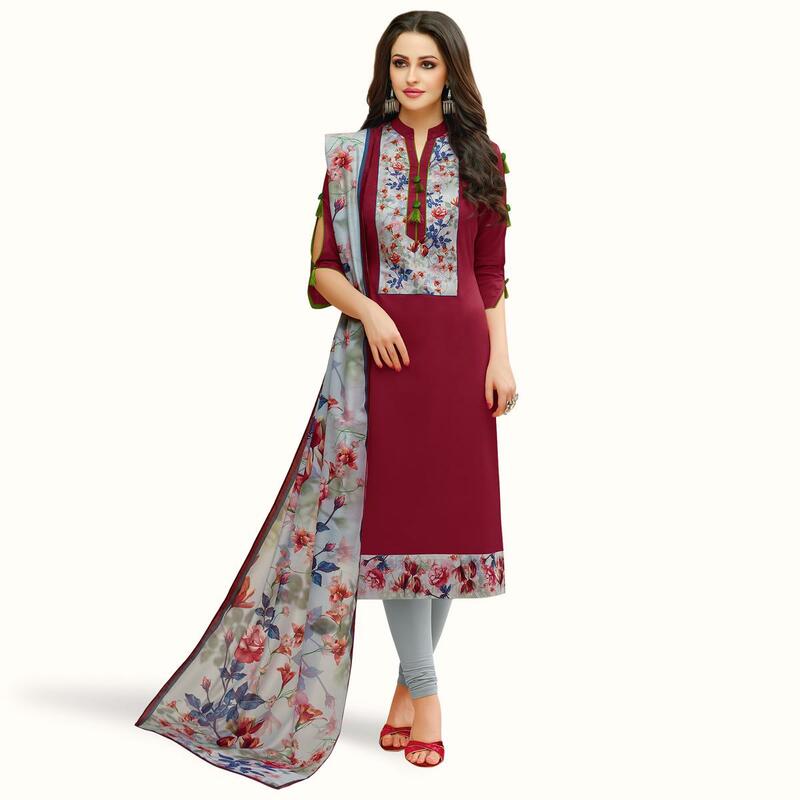 Stay ahead of the current trend just by stepping out in this entrancing maroon colored glaze cotton suit. This semi stitched suit also comprises cotton bottom along with digital printed muslin cotton dupatta, all synchronized well with the latest trend and style. The beautiful stylish dress uniquely crafted print work that makes this dress perfect for a modern woman. Specially designed to wear for casual, office wear, functions, parties, event and family occasions where you want to be center of attraction. Team it with lovely accessories to make your looks more beautiful. Note:- The actual product may differ slightly in color and design from the one illustrated in the images.